The Buffalo State Faculty and Staff Appeal, which kicked off March 3, provides “something extra” for student scholarships and academic departments—dollars that make a difference. 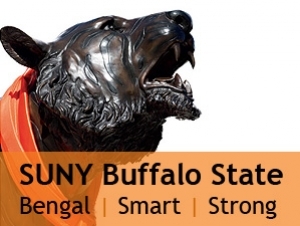 I encourage all faculty and staff members to consider making an annual gift to Buffalo State. 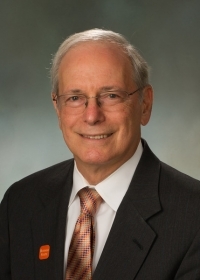 Like you, I am proud to have made a career choice to contribute to the education of the next generation, and I am particularly proud to be working at Buffalo State where students can obtain a first rate education at a reasonable cost. My commitment to Buffalo State includes an annual gift—an expression of my belief in the mission of the college. I hope your commitment will move you to make a gift as well. Despite the affordability of a Buffalo State education, many of our students face deep financial challenges on their journey toward a college degree. The Faculty and Staff Appeal provides an excellent way for each of us to make a difference in those students’ lives, as well as ensuring that our institution continues to thrive. Every gift matters. A modest gift can supply books for a student or defray the cost of a campus meal plan. Please consider how your gift could help a student graduate or enhance a departmental program. I hope you will join your colleagues and me in contributing to the 2014 Faculty and Staff Appeal.